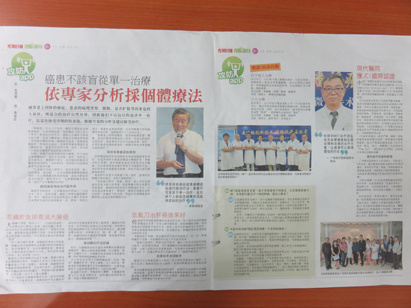 On June 10th, 2015, China Press reported the feature “Talk with Cancer Patients ---Never Despaired because of Cancer” and introduced the anticancer stories of Malaysia cancer patients in details. As it was reported, anticancer warriors would be chosen monthly in Modern Cancer Hospital Guangzhou so as to encourage cancer patients to positively fight against cancer and strengthen their confidence. From Sabah, Malaysia, SEE YAP LOONG, 62 years old, positively fought against cancer and became one of the anticancer warriors in May. In October 2014, SEE YAP LOONG coughed with no reason. CT scan in 2014 showed that he had esophageal cancer with metastasis of lung. He hospitalized in Modern Cancer Hospital Guangzhou in January 2015. He coughed and was hard to swallow so he only can eat fluid diet. After comprehensive therapies, he returned back to normal diet. His return visit showed that his condition was stable. 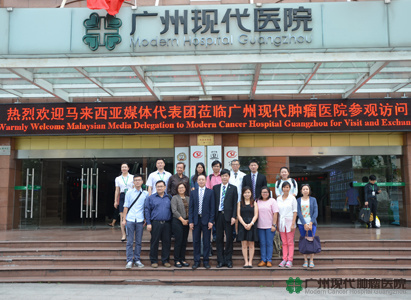 When sharing his anticancer experience, he claimed that patients should feel at ease in Modern Cancer Hospital Guangzhou and believed that doctors can help you. What’s more, patients also needed to think positively and did not worry. He told us that he actually felt that his body was in good condition. 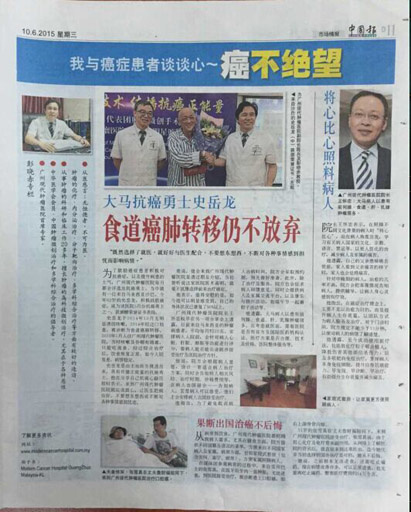 Furthermore, another Malaysia cancer patient took cancer treatment in Modern Cancer Hospital Guangzhou. She was TEOW SOK CHENG, a 51-year-old oral cancer patient. Because she was worried about the side-effects of radiotherapy and chemotherapy, she gathered information of Modern Cancer Hospital Guangzhou on the Internet and went to take cancer treatment here. Now she was grad that she chose to take therapies at abroad and she did not regret. Before she came here, she can not eat normal diet and needed to take painkillers. Now her condition improved and she can have normal diet and no need for painkillers. 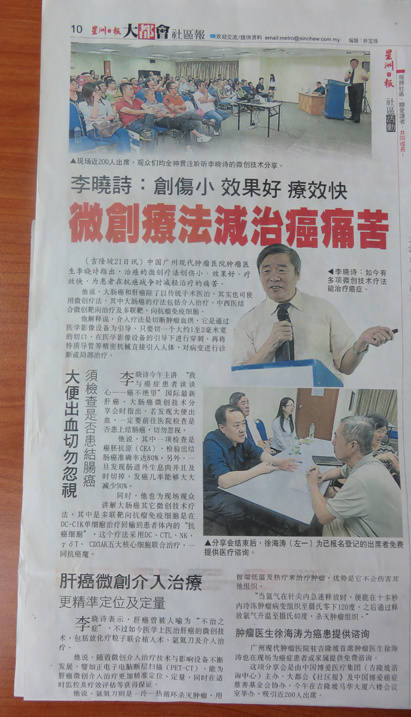 As it was reported, President of Modern Cancer Hospital Guangzhou, Wang Huaizhong, claimed that there were about monthly 20 Malaysia cancer patients on average to hospitalize our hospital. Before they were admitted to hospital, they will be arranged to take assessment of heart function, liver function, lung function, etc so that it can estimate whether cancer patients can bear the long trip for treatment. What’s more, according to patients’ will, doctors will make an individual therapeutic regimen in advance and tell them about the risk, treatment period, etc. 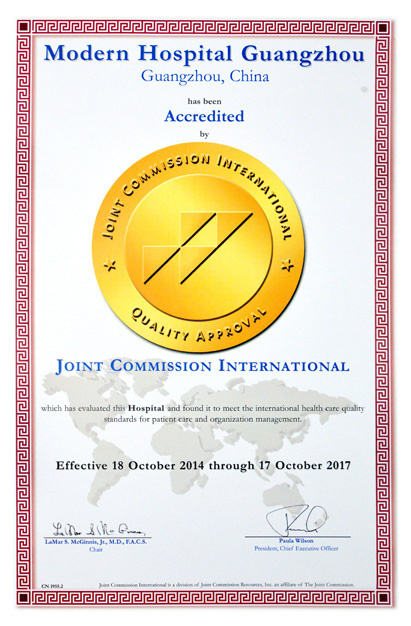 If patient accept the therapeutic regimen, the staffs in branch office will arrange them to take therapies at abroad.